20.05.2018 (Hvino News). After recent announcement of International Wine Challenge 2018 results, the best of winners received the IWC Trophies. 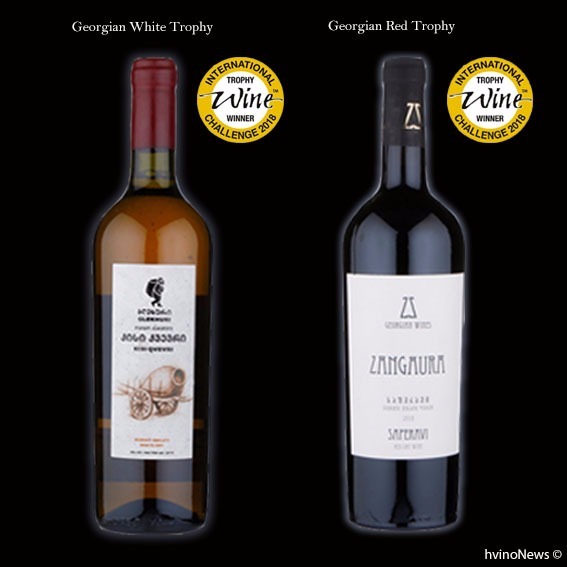 Among these "creme de la creme" award winners are two Georgian wines: from Teliani Valley and Georgian Wines and Spirits Company. The IWC has two separate tastings to accommodate the different production and sales schedules across the industry. Tranche 1 wines were tasted in November (see details) and Tranche 2 wines were tasted in April (see details). All gold medal-winning wines from Tranche 1 and 2 of the competition automatically qualify for the IWC trophy tasting.Regional trophy winners are then tasted together to decide the winners of the national trophies. Two wines - Mtsvane 2016 by Makashvili Wine Cellar and Zangaura Saperavi 2016 by Georgian Wines - received 96 points; Glekhuri Kisi 2015 Teliani Valley, Tamada Qvevri Amber 2014 by GWS, and Mukuzani 2014 by Tifliski Vini Pogreb scored 95 points. The overall champions of all categories will be announced on the 10th July 2018 at the IWC Awards Dinner.